Congratulations to Cheryl Page who achieved her de Souza APN designation in 2018. Her designation fellowship project “Evaluating the effectiveness of a mnemonic to guide staff when providing patient education to autologous hematopoietic stem cell transplant patients”, is published by the Canadian Oncology Nursing Journal in April 2019. Toronto, ON – As published in the American Journal of Hospice and Palliative Medicine, the research led by Dr. Yvonne Leung, a Scientist at de Souza and Assistant Professor at the Department of Psychiatry, University of Toronto in Canada reveals that the Advanced Pain Assessment and Management (APAM) online program significantly increased nurses’ confidence and knowledge in dealing with complex cancer pain. Beginning in 2012 and concluding in 2017, the sample size included 306 nurses from 89 hospitals throughout Ontario. The results showed that after completing the APAM program confidence levels increased by as much as 30%. 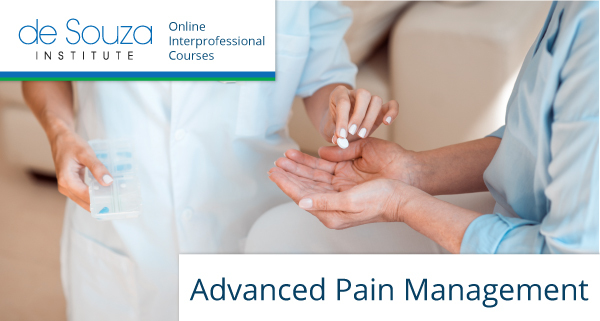 Courses like APAM are crucial for nurses’ career development, it gives them easy access to education and a way to enhance their core competencies such as pain management. 1 Moreover, it is improving the low baseline knowledge of nurses. “This research focuses on the impact of an online targeted education program in addressing the education needs in complex cancer pain management of nurses” said lead author Dr. Leung. Complex cancer pain is one of the most frequent and challenging symptoms to manage in cancer care. It is a physical symptom significantly compromising the quality of life of cancer patients. Up to 55% of cancer patients experience cancer pain. However, cancer-related pain is usually undertreated and this major problem has persisted for over two decades. The problem is complicated by the side effects of cancer therapies and pain medications. Nurses play a significant role in symptom management; however, many reported a lack of knowledge and confidence in the assessment and management of cancer pain, in particular the breakthrough pain. A team led by Dr. Mary Jane Esplen, the Executive Director and Dr. Jiahui Wong, the Scientist/Manager of de Souza Institute examined the impact of an online educational program in addressing the knowledge and confidence of pain management in nurses dealing with cancer patients. Established in 2008, de Souza Institute, is a part of the University Health Network and partners with Cancer Care Ontario. It provides ongoing educational support, professional development and career counseling to healthcare practitioners caring for cancer patients and families.